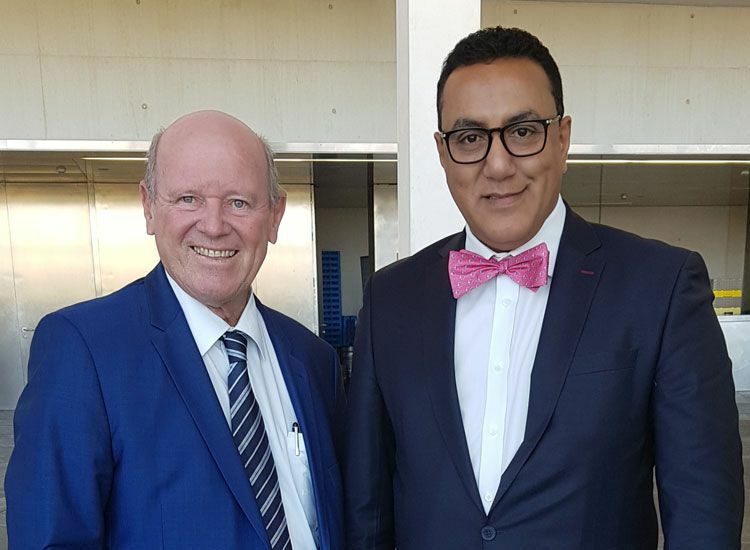 Tourism Minister Najib Balala of Kenya and Alain St.Ange, the former Tourism, Civil Aviation, Ports and Marine of Seychelles met at the WTTC Global Summit in Seville, Spain. The two colleagues aim at consolidating the working cooperation between the two tourism personalities. Also in Seville Spain for the 2019 WTTC Summit is Kenya's First Lady Margaret Kenyatta. "It was a real honor to meet the First Lady of Kenya in the presence of Minister Balala. The First Lady delivered a very interesting keynote address at the Global Summit on the theme of “Africa Rising”.